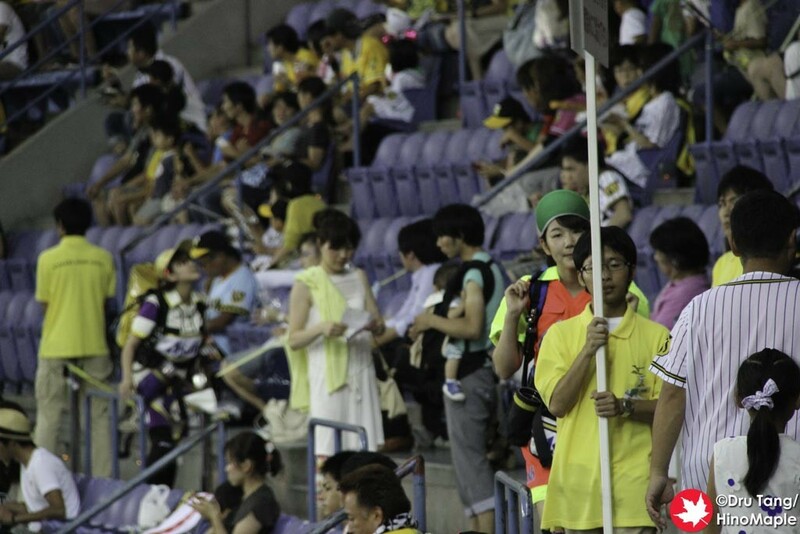 For obon, I decided to head down to Osaka with my brother and while I was there I had to catch a Hanshin Tigers game. 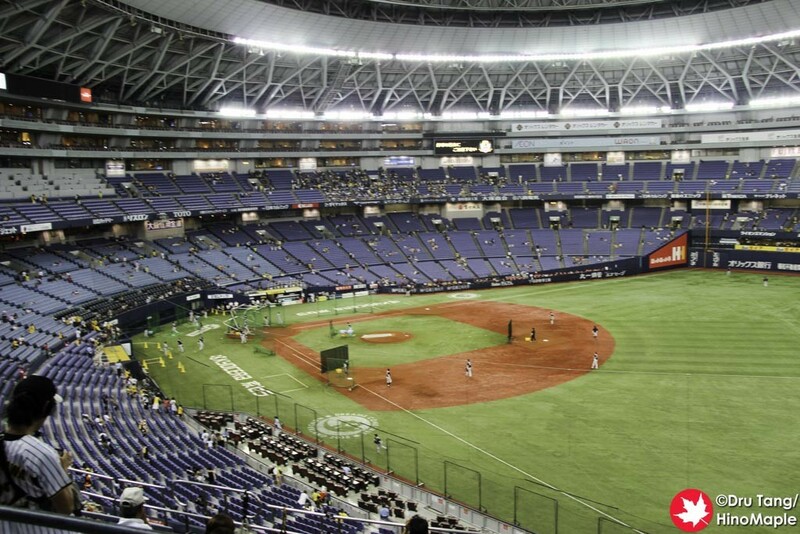 While I still dream to go to Koshien, their traditional home stadium, I had no choice but to go to Kyocera Dome, the home of the Orix Buffaloes, which was temporarily the home of the Hanshin Tigers due to the Koshien high school baseball tournament. 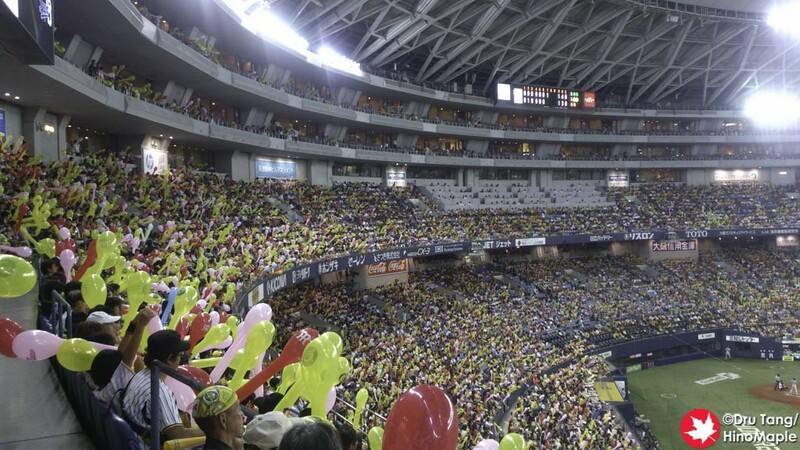 Since it was obon, I almost couldn’t get tickets but I was lucky enough to just grab a few seats in the upper deck behind first base. The first thing I did was to get there very early. I was in the free seating area so I thought I had to go really early to get seats. I arrived at gate 1, the assigned gate for my ticket, and was waiting a good 40 minutes before the gates opened. 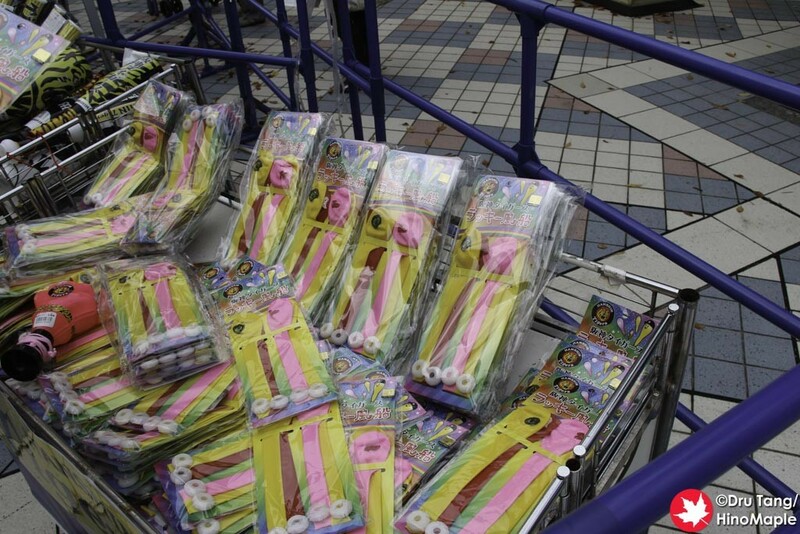 When I got to the stadium, I walked directly to the gate but made a quick pit stop to buy some balloons. 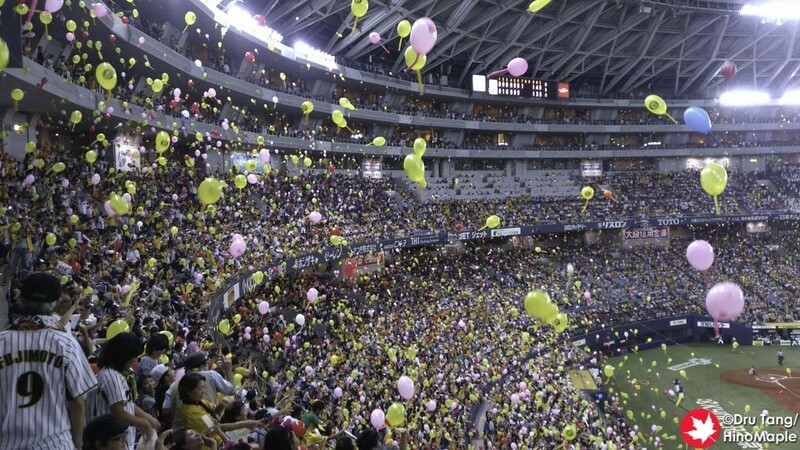 It was the home of the Hanshin Tigers so I had to get the jet balloons which are a constant feature of the Hanshin Tigers and a few other teams. 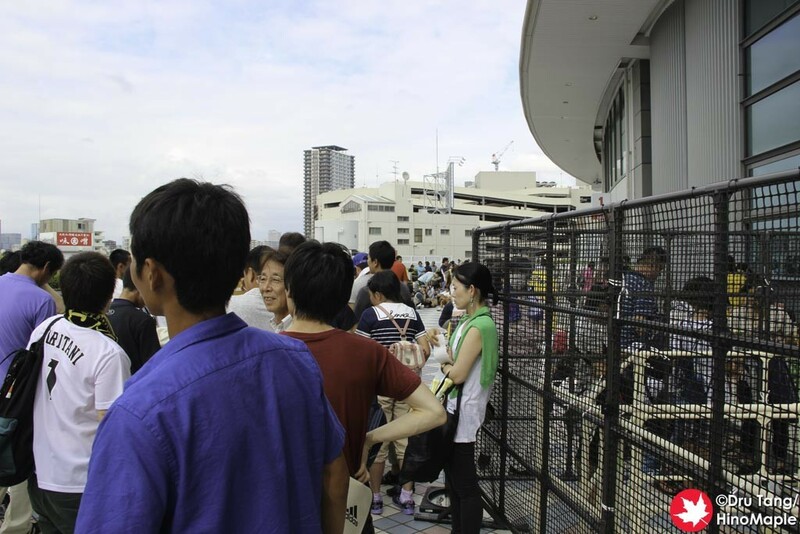 When I did get to the gate, I saw about 50 people in front of me and the line was slowly growing. When the gates opened, it was a bit of a rush as people pushed their way and meandered in front of me and I was essentially pushed back a little. Once I did get in, I couldn’t figure out where my seats were but ended up getting onto an elevator to the 5th floor and finding my way to the seats. From there it was all open and I had free reign to find the best seats. 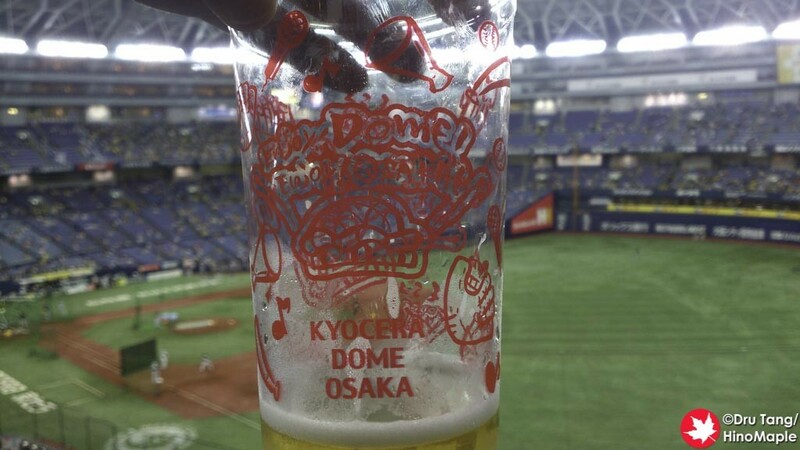 I had to decide where to go, and while the best seats at the front were not completely taken, our goal was to also drink a lot so I got seats right along the walking area. It has good and bad points. It isn’t as close to the field and people may be crossing your path all the time but you can stretch out a bit more and you can get beer very quickly. In hindsight, I really didn’t have to line up so early but I had lots of time to just take in the stadium. Like always the game starts with the pre-game show. This show is pretty standard with the visiting team warming up as the gates open and the home team warming up right after. With an hour to go, they start to do the main show that includes a cheer show, introducing the mascots, and the ceremonial first pitch. Then the action starts. For this game I was hoping there would be a lot of cheering. 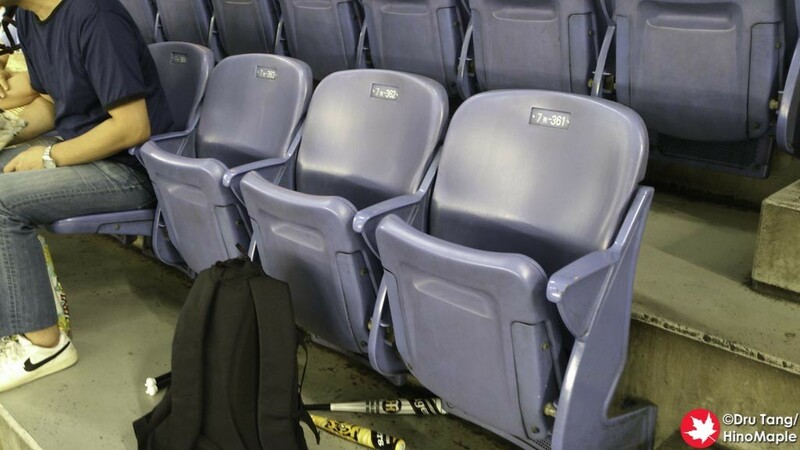 Being a home game, I was expecting more people to be cheering for the Tigers but this time they were quiet. 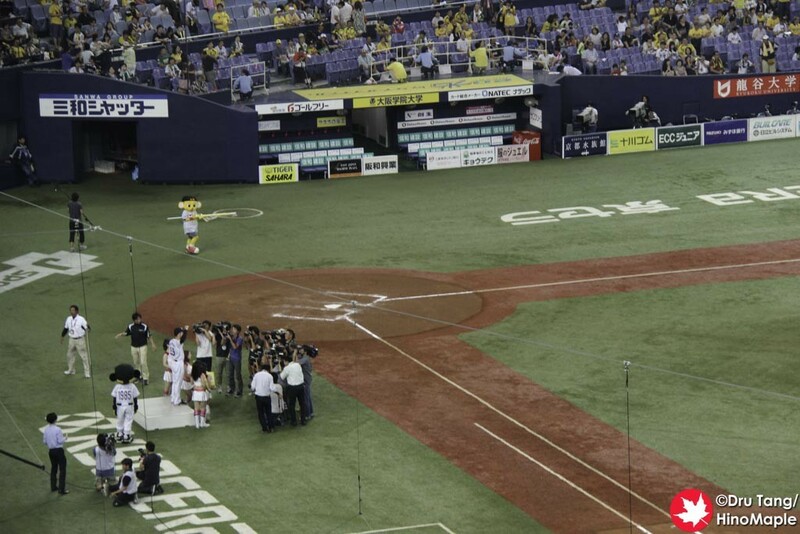 I was so envious of the people in the outfield cheering section as I am usually there. I had to do my best to help my brother out to do our cheering. We had enough beers in us that it wasn’t too hard to do either. The game itself was pretty standard. After a first fast inning, things heated up in the 2nd. Gomez was up at bat and he hit a home run! It was quite a sight to see the crowd go crazy and of course everyone had to sing the Tiger’s theme song. 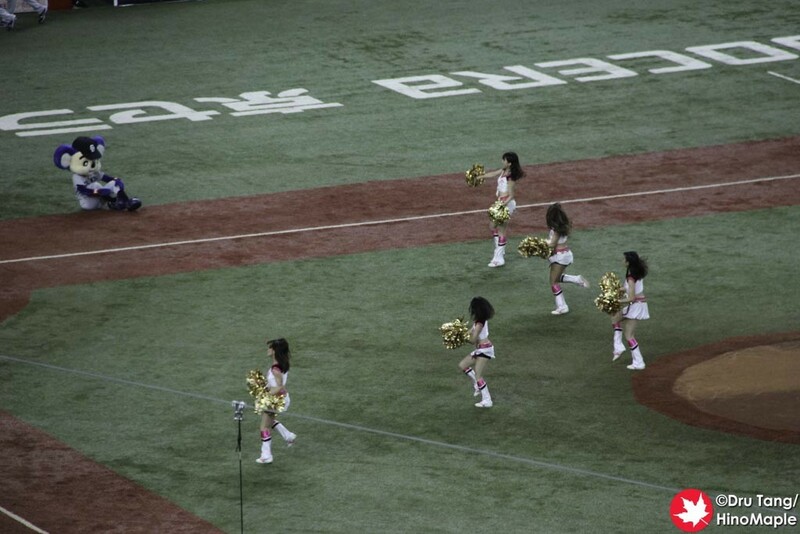 I was a little sad that many people around me were not singing as well but I guess it isn’t Koshien. Ooooh Oooooh Oh Oh! 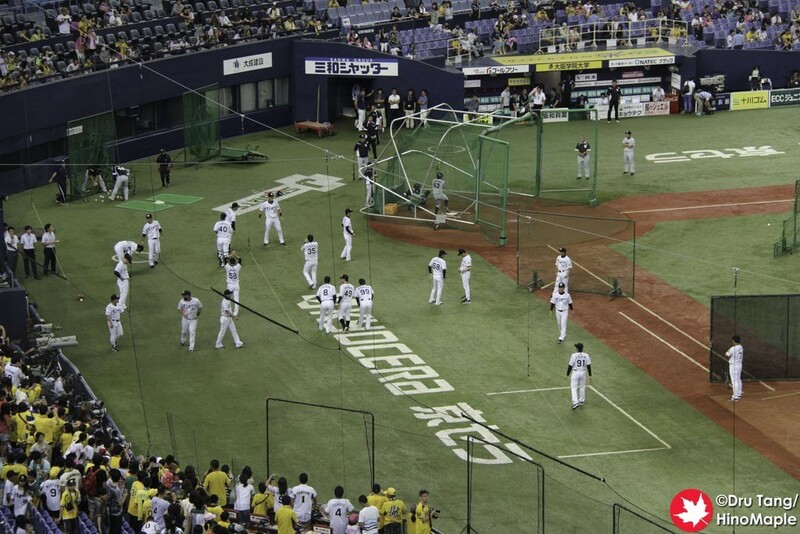 Hanshin Tigers! Fure Fure Fure Fure. The game then settled a little and nothing was really happening. We then got ready for the jet balloon rally which happens after the 6th inning and just before the 7th. 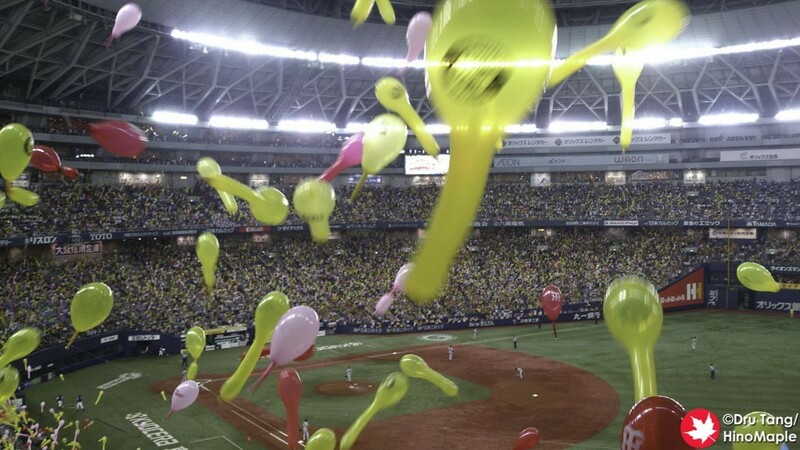 At the start of the bottom of the 6th, everyone blows their balloons up. I kept hearing balloons popping everywhere and by this time I was far from sober. I blew mine up and kept it held but just before the end it burst! I was struggling to get another balloon blown up too but it had burst too. I was sad that I couldn’t release my balloon but I was still happy that I could be part of the experience. After that, the Dragons got a run in and I was scared. Would the Tigers tie or lose the game? It was important that they won as the championship was still very close. Thankfully during the 8th inning the Tigers had a very good rally and scored 3 runs putting them up 4-1. The 9th was not as fast as I would have liked to see as they changed pitchers. It was a little nail biting as there were a couple people on base, but thankfully they got that last out and we had a second balloon volley. After the game, my brother and his friend took off to meet a few other friends but I stayed because I wanted to really enjoy the atmosphere to the end. We all sang the Tiger’s theme song a few more times before things completely ended. It was a very fun experience and I would happily do it again. 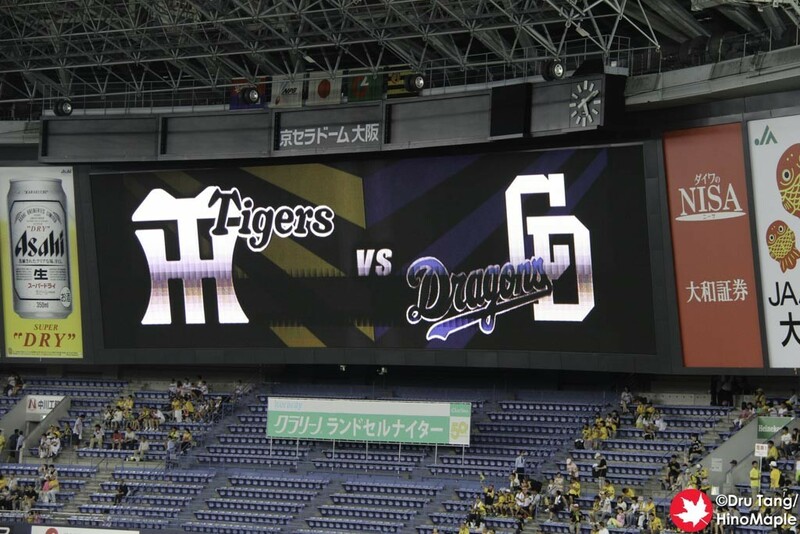 Next time I head out there I will definitely have to go when the Tigers are playing at Koshien. 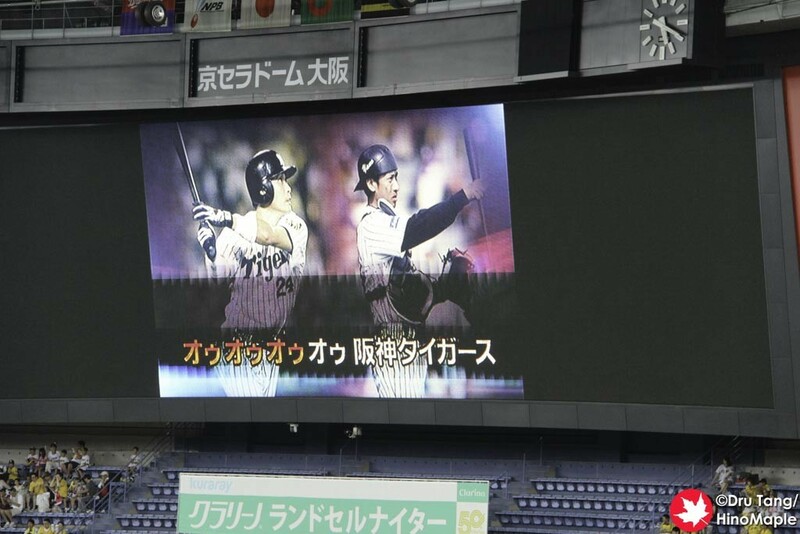 It is still my dream to go there during that time and I’m sure I will someday, but for now I’ll happily go to Jingu. 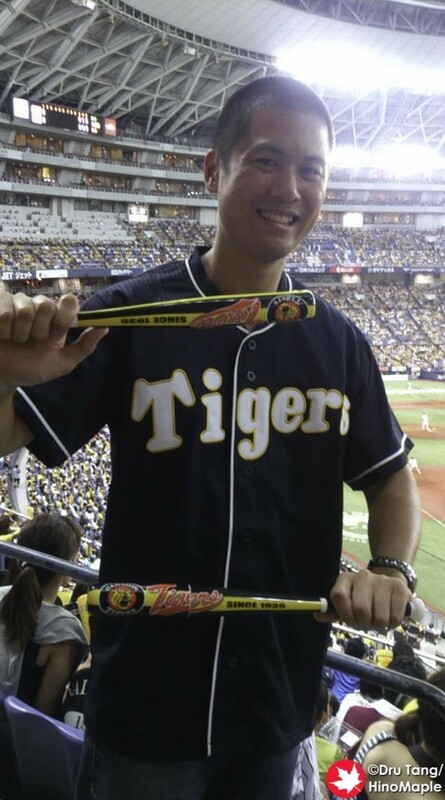 This entry was posted in Baseball and tagged baseball, Chunichi, Chunichi Dragons, Dragons, Hanshin, Hanshin Tigers, Japanese Baseball, kansai, osaka, Tigers by Dru. Bookmark the permalink.